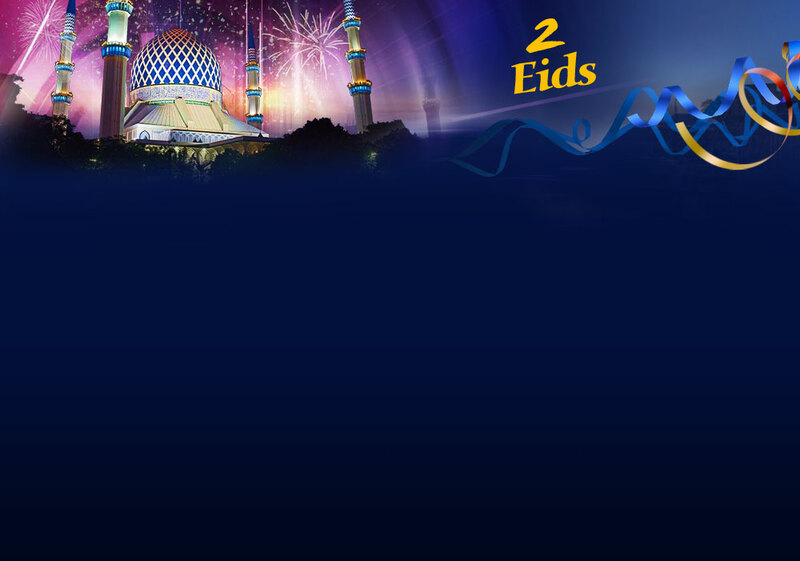 2 Eids - What is Eid? "It is called Eid because it returns every year with renewed happiness." Eid days are thus named because Allah renews His bounties in them; and He distributes His blessings to His worshippers. Thus on Eidul-Fitr, He permits them to eat after having been restrained from food; and He requires paying sadaqatul-fitr (the charity of breaking the fast) to the needy. "And on Eidul-Adha, He permits the completion of Hajj (pilgrimage) with the final tawaf (circulating around al-Ka`bah); and He requires offering sacrifices and distributing their meat, etc. "Also, it is customary for people to be joyful, happy, and to rejoicing during the Eid days." "(They are better because,) the day of Sacrifice and that of Fitr are legislated by Allah, and are His choice for His creatures. They follow the completion of two of the greatest pillars of Islam, Hajj (pilgrimage) and fasting. On these days, Allah forgives those who performed Hajj and who fasted, and He sheds mercy on all of His obedient creatures. On the other hand, the days of Nayruz and Mihrajan were devised by the people of those times, because of good weather or other passing qualities. The difference between the two cases is apparent for whoever ponders upon this." "This day I have perfected your religion for you, have completed my favor upon you, and have chosen for you Islam as your religion." Never was a prophet before me, but he disclosed to his people what he knew to be best for them, and warned them of what he knew to be evil for them. There is nothing that would bring you closer to Jannah and farther from the Fire but it has been clarified [by me] to you. "Yes indeed! He prohibited us from turning our faces or backs to the Qiblah when defecating or urinating, from using the right hand to cleanse ourselves, from using less than three stones to cleanse ourselves [in the absence of water], and from using animal waste or bones to cleanse with." We have not sent you [Muhammad] but to humanity at large, to be a herald of glad tidings and a warner. It is We indeed who have sent down the dhikr (the Message), and it is We who shall surely guard it [from corruption]. Islam contains the complete and perfect guidance for humanity. Islam did not neglect any information that would be needed by people to reach happiness and to avoid harm, in all matters, whether minute or large. Islam is the only guidance tailored for all peoples at all times. Islam has been preserved, and will remain intact through the ages, as the only true guidance capable of helping and saving people. "To every people we have appointed rites (of sacrifice) that they must observe." From authentic hadiths that are cited above and subsequently, it is concluded that the Muslims have only three Eid days, a weekly Eid every Friday, and two annual Eids: al-Fitr and al-Adha. Thus, the Eids are purely religious occasions for the Muslims. They are the only holidays in Islam, and were granted to the Muslims by Allah. This indicates His great love and mercy toward those who adhere to His blessed religion: Islam. And when Allah, the most Generous, grants something, he grants it complete and perfect. Thus, He granted us the Eids, as well as instructions for celebrating them. Allah alone has the right to prescribe Eids and to set their dates. Allah alone has the right to prescribe the manner of celebrating them. Islam teaches Muslims how to celebrate the Eids. On these days, the Muslims take a bath and wear their best clothes. Even though fasting is not permitted on the Eid days, yet, the major part of the celebration is not eating or drinking - rather, it is a prayer that brings Muslims together to remember Allah's bounties and celebrate His glory and greatness. The Eids and their celebration in Islam carry a distinctive meaning and spirit. They are totally different from the celebrations in other nations and cultures. For Muslims, the Eid is an occasion to increase in good deeds. Each Eid marks the conclusion of an important worship, and the determination to continue in obedience and submission to Allah. In moments of extreme pleasure or sadness, a Muslim never forgets his Lord's greatness, might, glory, and watchfulness. A Muslim's actions are always controlled by this continued remembrance and awareness. Thus the Eid is not an occasion to take a vacation from Islamic responsibilities and commitments or to waste time and money in extravagance. It is not "fun for the sake of fun". Rather, it is controlled and directed rejoicing that is of ultimate and definite benefit for the Muslim. The Eid is a chance to multiply good deeds by bringing happiness and pleasure to the hearts of other Muslims, by helping and supporting the poor and needy, and by getting involved in pastimes that emphasize the strong and serious Islamic character.